Description: This is the 202nd escape game from enagames.com. 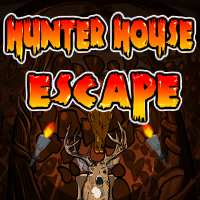 Assume that one day you went to the hunter house for investigation about the daily life of hunters, while doing your task the jealous hunter locked you inside his horror house. You need to escape from their to your city by solving the simple puzzles and with the help of hidden objects. Click on those objects to interact with them. Play enagames and have fun! !